I recently launched my new YouTube Channel – weavewithpat – with a collection of videos aimed at the absolute beginner weaver. Here are some snaps from video production. 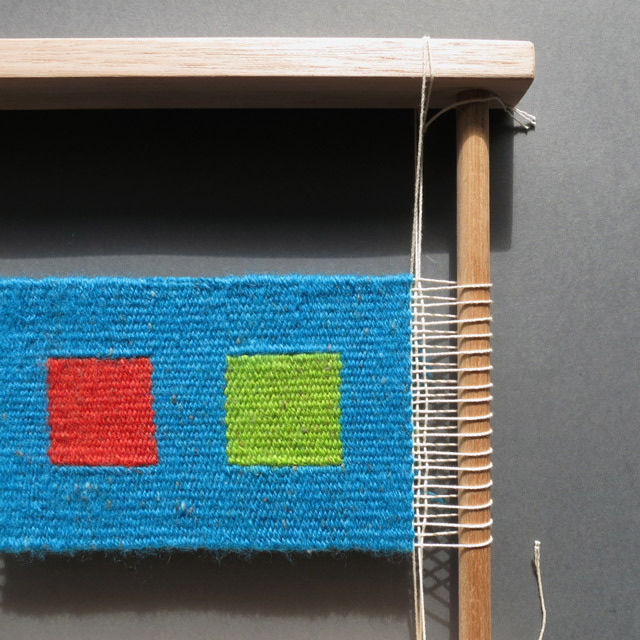 A recent rediscovery of weaving has kept me away from my knitting needles and crochet hooks over the last few months. My mother, Marta, was a fantastic tapestry weaver. Weaving is what started her on her journey of dyeing yarns. She couldn’t find the colors she needed for her weaving projects so started to dye yarns in her laundry room. This led to the Marta’s Yarn collection of hand dyed knitting yarns. I recall helping her make her large circular weavings in the late 70s where we used a bike wheel as a loom. The spokes where the warp. In memory of mum and as part of my renewed interest in this ancient craft. I have launched a new YouTube channel weavewithpat with a series of videos demonstrating the basic weaving techniques. I will also be selling beginners weaving loom kits with everything you need to get started with you first weaving project.